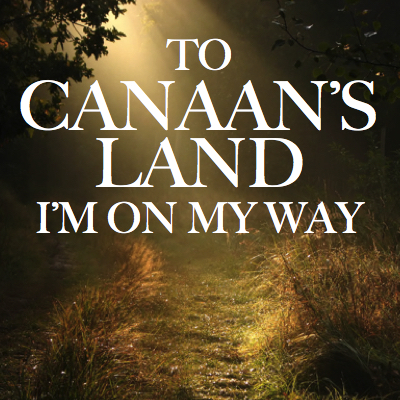 We are starting a new series for our Sunday services called “FAQ” (frequently asked questions about Christianity), and the topic yesterday was “What Happens When We Die?” Appropriately, we sang this great old song called “To Canaan’s Land I’m On My Way (written in 1914). A teaching recording is below that I threw together for our team (it goes through each part, SATB, and then how they all sound together). It was great! Even though a good chunk of the audience had probably never heard the song, you could clearly see everyone singing out, and you could really hear the voice of the church on that song. As far as placement in the service, coming out some silent meditation for communion we did one of my newer songs, “The Other Side” (which is a kind of gospel-ish tune), and then after that we picked up the tempo and the energy by going straight into “To Canaan’s Land I’m On My Way,” stomping and singing this good old-timey song before the lesson. Anyway, here is the teaching recording of the tune and a PDF of the sheet music. Give it a try!